Talk about movies that get you feeling all kinds of things about their protagonist! 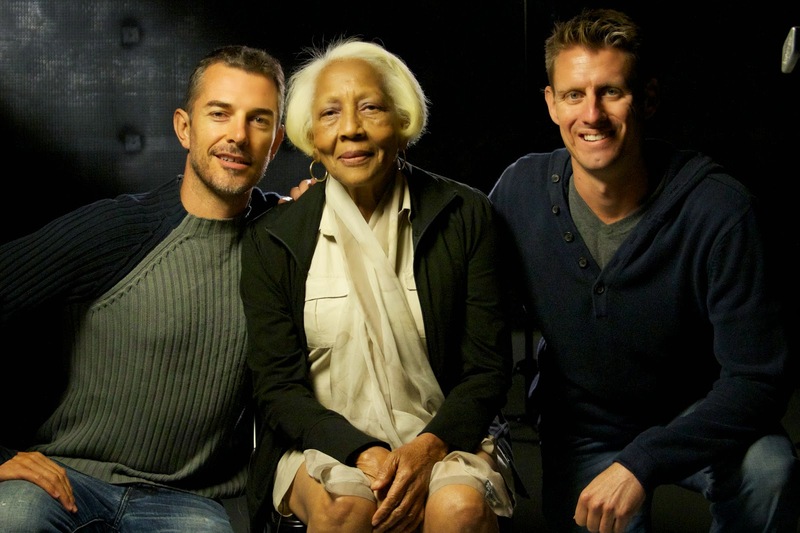 THE LIFE AND TIMES OF DORIS PAYNE is one for the books. 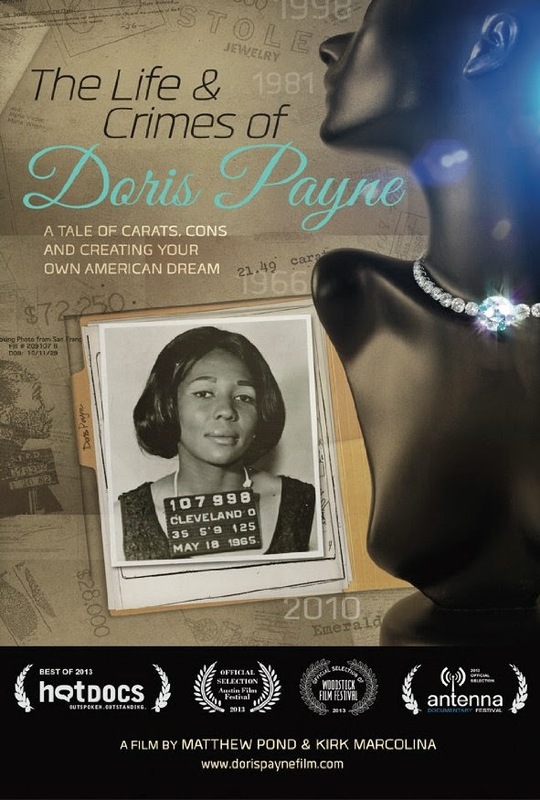 This short but incisive and nimble little documentary about a famous (infamous is probably the more correct word) elderly black woman jewel thief packs so many ideas, conflicting and otherwise -- about justice, race, friendship and trust -- into its short frame that you'll be glued to the screen, even as you're trying to figure out what you really feel and think regarding this woman. The directors -- Matthew Pond (below, left) and Kirk Marcolina (below, right) pictured with their elegant and oh-so-unsettling leading lady, now 83 -- clearly have a relationship with their subject. I would guess they even like and enjoy her company (who wouldn't, expect maybe the law enforcement officers who keep arresting her?). Yet what is undoubtedly the movie's key scene, in which Doris "explains" to one of the directors what she "meant" when she clearly lied to him and/or the authorities about her whereabouts at a certain time, we suddenly see before us just how this woman manages to somehow justify herself against all odds, while breaking trust with the very people who are trying to tell her story. This is an amazing few moments, and they become the film's game changer. And yet... Once we've seen and heard of Doris' history -- both as she tells it and as we hear it from a couple of friends, as well as meeting her son, who seems a chip off the old block but without the class, sass, and skill of his mom, and her daughter, who seems a decent sort, and in fact keeps her face covered so that she cannot be identified from the movie -- making a hard and fast judgment on the woman is not all that easy. We may feel, as does the judge who must sentence her -- and I don't know that I've ever seen a judge who seems more reluctant and unmoored by what he must do -- every bit as confused and unsettled. 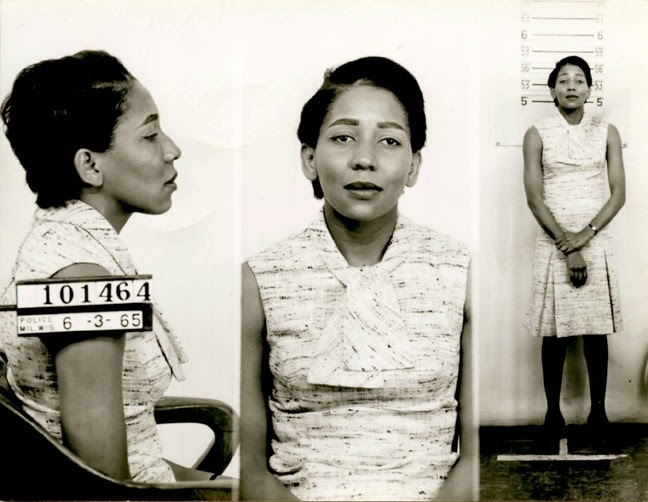 Granted, we could spend a good three or four hours on the subject of Doris Payne, her life and work. Yet the 74 minutes Pond and Marcolina give us seem enough to acquaint us with an endearing and very upbeat woman who somehow makes us sad. She also makes us think, and wonder at life and what it gives us, and how we use it. 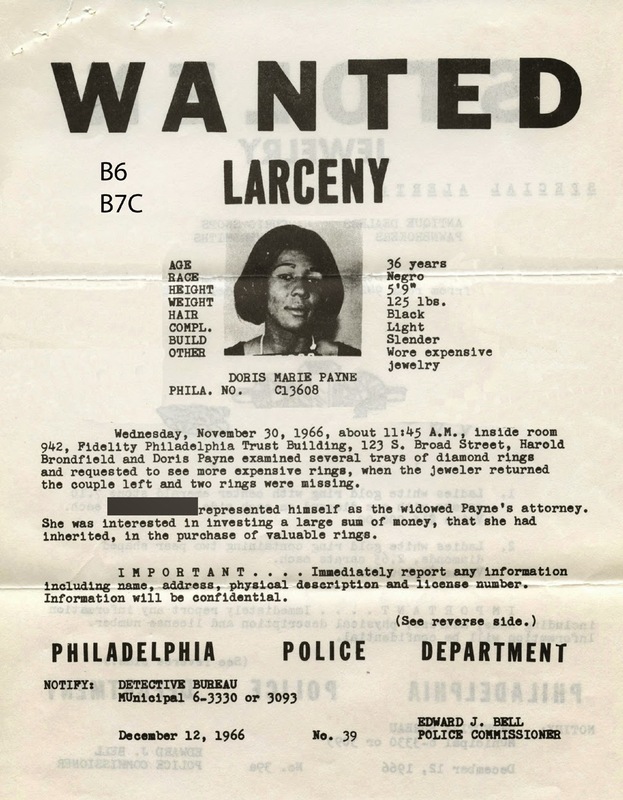 The Life And Crimes of Doris Payne -- from Films Transit -- opens today in New York City at Film Forum. Elsewhere? I don't know, but maybe you can ask the distributor (see the Films Transit link above). In any case, watch for this one when it finally begins making the rounds of VOD and streaming.